A Lilly man faces a felony gun charge after allegedly concealing a firearm without a permit while also drunkenly fleeing police in a vehicle. Garrett W. Campbell, 32, of 209 Jones St., first caught the attention of police while traveling along Admiral Peary Highway, according to a criminal complaint filed Wednesday by state police. Campbell was driving a silver Jeep Liberty with its hazard lights flashing as it turned south onto Route 53, police said. The vehicle was traveling 75 mph in an area where the speed limit is posted at 55 mph, police said. The officer said he then turned on his emergency lights to indicate that he wanted Campbell to pull over. Instead, Campbell turned north onto Jones Street and sped away from police, according to the complaint. “The defendant traveled at high rates of speed in reduced residential areas and traveled in both south and northbound lanes,” the officer wrote. Campbell then turned his vehicle west onto Zoskey Road, where the chase ended near its intersection with Level Road, police said. “The defendant was ordered out of the vehicle at gunpoint,” the officer wrote. The officer also noted that Campbell forgot to put the Jeep in park, and when he exited the vehicle, it drifted forward. Campbell was ordered to quickly apply the brakes, and the vehicle was eventually stopped along the side of the road. Campbell was taken into custody, and police said a “strong odor of alcohol” could be smelled on his breath. Police also said Campbell’s eyes were bloodshot and his speech was slurred. Campbell later admitted to consuming alcohol, police said. A blood test showed he had a blood-alcohol level of 0.18 percent — more than double the legal limit. He also failed both field sobriety and breath tests, according to the complaint. A leather bag rested on Campbell’s passenger seat, and, inside, police said they found a .40-caliber Smith & Wesson handgun, with 13 rounds in its magazine. Campbell is not licensed to carry the gun while it is concealed, police said. Campbell faces felony charges of carrying a firearm without a license and fleeing police. 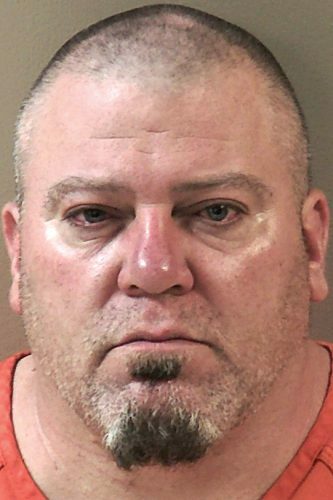 He faces lesser charges of drunken driving, recklessly endangering another person, failing to keep right, disregarding traffic lanes, speeding, careless driving and reckless driving. Campbell was arraigned Wednesday before Magisterial District Judge John Prebish Jr. He is to appear for a preliminary hearing at 1 p.m. May 23 before Prebish, online court documents show. According to online court documents, Campbell remained in Cambria County prison unable to post 10 percent of $50,000 bail as of Thursday afternoon.